This is the whole view of the finished product, this is what you recieve if you purchase the original. 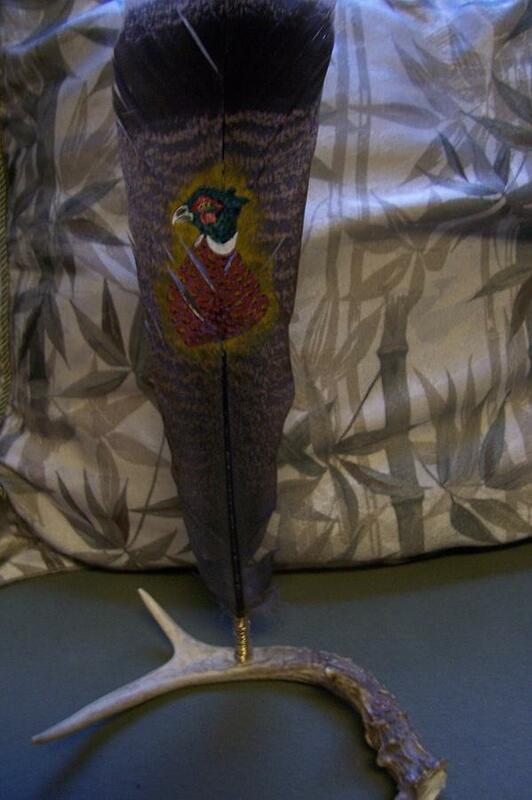 It is a ringneck pheasant painted in acrylic mounted on a deer antler stand. The paint is sealed with varnish and signed.